Personal Finance for Freelancers — . Freelance life. It’s great in so many ways- you’re pursuing your dreams, you don’t have to fight the morning commute, no boss is breathing down your neck and you can probably make it most days wearing your sweats! However, what you gain in personal freedom you lose in financial stability which can be absolutely crippling. I get it, financial stability for a freelancer is tough. Financial stability as a dancer? A Joke. Just like any career, I’ve had peeks and valleys but through it all I’ve managed to live life debt free, create a savings foundation and have even started saving for my future. Money talk is often faux pas but the more I open up about it to my peers, I realize we all share these instability struggles and many don’t have a plan of action to prevent feeling underwater and unprepared. I invited my friend and fellow freelancer Taylor James to Bumble's LA Hive to hash out. Taylor's take: I’ve been very lucky in my career as a dancer in that I’ve had what most haven’t... consistency. Since moving to LA 7 years ago I’ve worked steadily and mostly on well paying jobs. That has been amazing for so many reasons but terrible in others. I have NOTHING to show for it (well, I’ve been on plenty of trips and I have a beautifully decorated apartment) but in the bigger picture I have nothing to show for it. No savings, no property, no assets, NADA! Never having to worry about where money was coming from was fine when I was pursuing dance full time, but now as I get older and my priorities shift and I focus more of my energy into my work as a director and photographer, that stability is leaving with it! In life and on Bumble Bizz, moving forward is all about taking the first step. While it’s a little bit embarrassing to admit, it’s time to get my life together so I can confidently move forward into the next phase of my life. Multiply this number by 6 (six months cost of living) to find your target number. This target number is what you should have combined in all your checking/saving accounts to create a solid foundation for yourself. I keep 2 months in my checking, 4 months in savings. If you have a slow or entirely non-working month(s), an injury or a car repair, you will have money to pull from and still have cash with to live for the following months. What if you currently have no where near this target number? My friend Elijah Souza, Wealth & Investment Advisor at Gerber Kawasaki and says, “go through your monthly cost of living and find out how much you are actually spending. By tracking where your money is going every month, it's a sure way to increase how much you have left in your checking account at the end of the month. As a general rule of thumb, your housing costs (rent, utilities, home insurance) should add up to no more than 30% of your gross (before tax) income. Your car (lease/payment, insurance, gas) should add up to no more than 10% of your net (after tax) income. Ask yourself how can you pair down to what you know you can afford?" Open a High Yield Savings Account. For years I had my checking and savings connect to each other at the same financial institution. The money was so easy to transfer back and fourth instantly, I mentally lumped my two accounts into one meaning I really had no savings. A High Yield Savings Account has higher interest rates that usually hover around 1% vs the .01% the one attached to your checking probably has. This 1% wont make you money like investing/buying stock has the potential to, but the point is to create some separation. Out of sight out of mind. ME: I connected my checking and high yield savings accounts and set up weekly automatic contributions. I aim to keep the weekly transfer high ($200/week) but adjust the amount depending on if I’m working regularly or not working at all. Alternatively, if you are good at moving over money every check you receive you can calculate 20% of what you’re depositing into your checking and transfer it to your high yield. Because your savings is at a different financial institution from your checking, it takes a few days to transfer your money back and fourth. I look at this waiting period as means for weeding out impulse buys— If you still want the Prada bag, curve tv or vacation to Cabo after the 3 days, then give it second thought. Don’t get screwed at tax season. Pay in the estimated amount of federal and state tax you will owe quarterly. This is another out of sight, out of mind tactic. Most years about half of my income is W9 or 1099 (un-taxed) work. One year I had to pay in $15K at once. Damn, still stings. Your accountant or financial advisor can guide you through this process, but it’s so simple I now do it on my own via the state and federal online portals. Expenses and other write offs will factor in when you complete your end of year taxes in April. No idea never had one. We’re our own bosses which is amazing, but that means it’s our responsibility to save for our future. Open an IRA or a ROTH IRA now. That’s the money you’ll have access to when you are old and over the freelance hustle. It’s an account that you’ll contribute to each year (up to $5500) and you shouldn’t touch until 65+. It will compound with great interest so by the time you access it you’ll be rolling in it. This idea is tough for so many to get used to because unlike your checking and High Yield Savings account, once you contribute your money you don’t really have access to it (without penalty). "In addition to IRAs, and if you are having a really good year, open a relatively new plan called the Individual 401k account, and you can sock away up to $54,000 and deduct it from your taxes for immediate tax savings. Remember, as a freelancer, nobody is going to pay you a pension, you need to sock away as much as you can, as early as you can (to allow for the miracle of compounding to grow your retirement savings tax deferred)." Invest. You want your money to work as hard for you as you do. This is something I’m just getting into. Feel free to contact Elijah for a comprehensive overview of your finances. Change in life is hard, change in your professional life isn’t any better. Following these guidelines I’ve established over the years helps me feel stable in unstable situations much like Bumble Bizz. As I shift focus in my career I use the Bumble Bizz (a part of the Bumble app) to expand my network and find like minded transitioning professionals just like me. I swipe to find web developers, photographers, editors, ad agency types and fellow workout professionals who want to create and share their expertise. 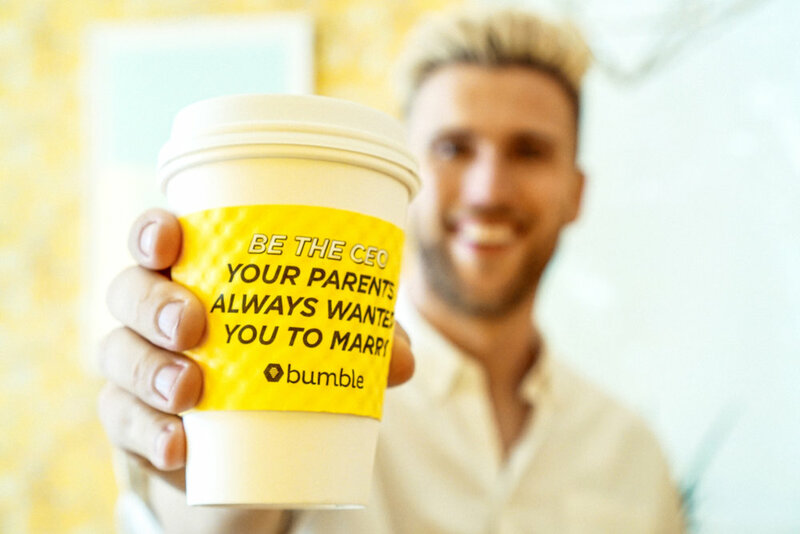 The tips above give me a roadmap to my finances, Bumble Bizz gives me a network to shape and expand the possibilities of my future. …But wait, what’s Taylor’s take on all this? How did Taylor take all this? Taylor: I have a lot of work ahead of me but at least I have a plan of attack. It can feel overwhelming to think about putting away such a big chunk of money but all I can really do right now is focus on being a lot more aware and conscious of my spending habits and choices and start to chip away at that goal. First thing I’m going to do is open up a new high yield savings account at a separate banking institution. My biggest issue is that when I see the number in my account, it enables my spending habits. Secondly I’m going to set stricter parameters for my spending and budgeting. A lot of my issues with money is that I make it and spend it without accounting for it or budgeting it... that’s gotta change! I tend to get random checks in the mail for residuals or buyouts that I’m not expecting and then I freely spend but moving forward I’m going to take those checks and deposit them into my (new) separate savings account. It’s only a couple of changes but I think these are actually major shifts that will pay off (literally) in the long run. I’m excited to take control of my finances so that I can enjoy the same sense of stability and comfort as I move into uncharted territory. Being an artist and also financially adept don’t tend to coincide but ultimately we are our own CEOs as freelancers so it’s our own responsibility to create, market, sell, save and manage our own lives! This post is sponsored by Bumble Bizz. Thank you for opening your Hive for us to discuss this important subject.